AMUG extends an invitation to show our members what you have to offer. 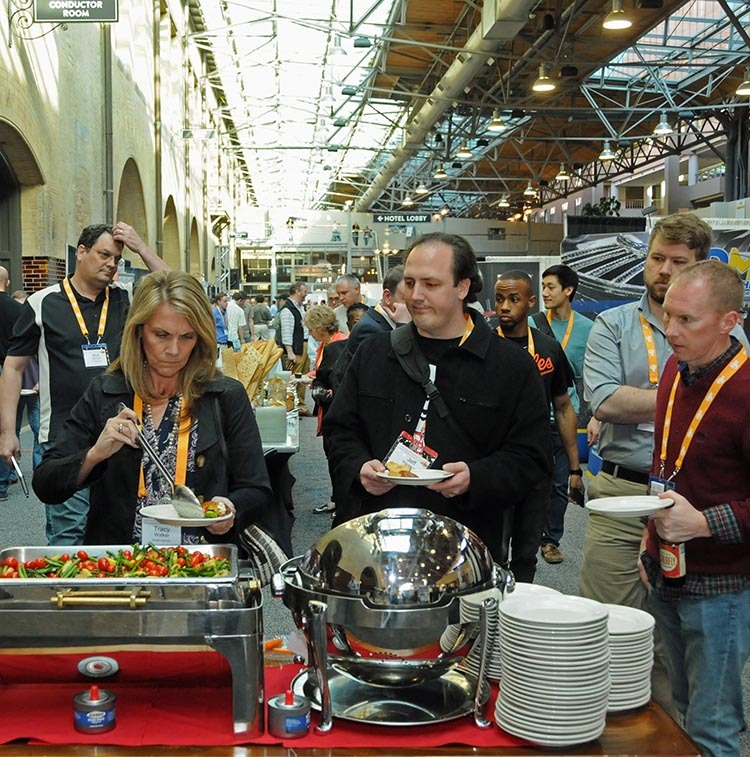 As one past exhibitor stated, “AMUG has the highest signal-to-noise ratio of any event.” What this means is that you will be showing off your products and services to highly qualified attendees. The AMUGexpo is open only to AMUG Conference attendees, individuals that must own/operate industrial-grade AM technology used in professional applications. They represent innovators, practitioners and decision makers, which makes the AMUGexpo a “must be there” event you will not want to pass up. Interested? Don’t wait to reserve a spot. The AMUGexpo sold out last year, and with the limited number of spots for 2019, we expect to sell out once again. [update] Sorry, but the AMUGexpo is sold out once again. This year’s conference will be held at the Hilton Chicago in Chicago, Illinois, from March 31 – April 4, 2019. The AMUGexpo will be open Sunday evening, Monday morning and Monday evening. It offers a unique opportunity for vendors to display their products and services to a focused market segment, additive manufacturing users. The exhibition on Sunday evening will be in conjunction with the conference welcome reception. Monday evening the exhibition will be in conjunction with the AM Technical Competition. We have also added, based on conference attendees’ wishes, two hours of AMUGexpo on Monday morning. Food and beverages will be included at each of these events for vendors as well as conference attendees and guests. Exhibitors who are not registered conference attendees may also purchase admission to daily lunches and the Tuesday evening Awards Banquet at an additional charge. The AMUGexpo package covers all the bases. Exhibitors get a 10-foot by 10-foot space, table, chairs, carpet, power and lead scanner. The standard exhibitor package allows non-AM equipment (ancillary equipment, e.g. cleaning station, scanning, tumbler, etc.) to be displayed at AMUGexpo. Display of AM equipment is available through sponsorship packages. Need more information before moving forward? 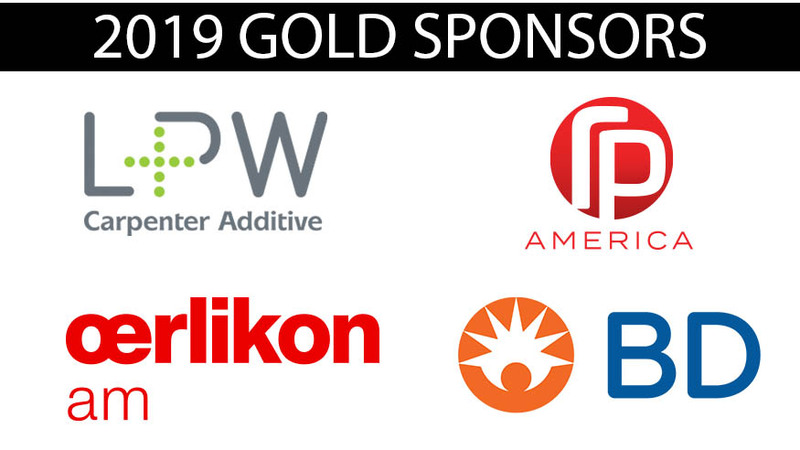 See what the AMUGexpo offers our attendees or take a look at the details of our exhibitor & sponsor programs. Ready to sign up? Visit the exhibitor registration page for details and access to our registration portal. Attendees enjoy food & beverage during the AMUGexpo. Sponsor packages include an AMUGexpo space and exposure to our members before, during and after the conference.